W. Heffer, Cambridge, 1966. 1st edition. Hard covers, dust jacket. V.g./Fair. Jacket frayed and torn. A nice selection of old hand-drawn maps. Includes a bibliography of J.A. Steers. Ordnance Survey, 1994. Scale 1:25,000. Folded map. Good. Comewhat carelessly refolded but otherwise little used. 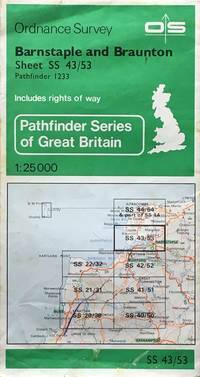 Ordnance Survey, 1987. Scale 1:25,000. Folded map. Fair. Significant highlighting to some placenames and boundaries. 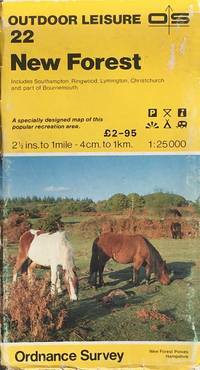 Ordnance Survey, 1983. Scale 1:25,000. Folded map. Good. Slight surface abrasion to cover. The 'older series' cover with Kingfisher design and brown background to title. 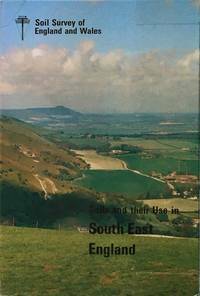 Ordnance Survey, 1985. Scale 1:25,000. Folded map. Fine. Map in plastic wallet. Scarcely used. 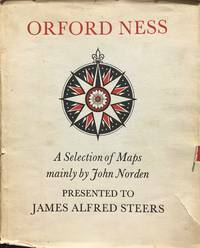 Ordnance Survey, 1960. Scale 1:25,000. Folded map. V.g.. Map in plastic wallet. Former owners' names on reverse of cover. Institut Geographique National, 1990. 2nd edition. Sheet 1316E, scale 1:25,000. Folded map. Fine. Covers an area SE of Avranches in Normandy. Institut Geographique National, 1987. 2nd edition. Sheet 1314E, scale 1:25,000. Folded map. Fine. Covers an area NE of Avranches in Normandy. 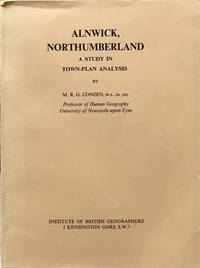 Ordnance Survey, 1953. Scale 1;25,000. Folded map in envelope.. Fine. Scarcely used. 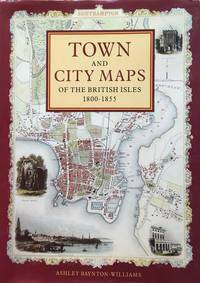 Includes a pamphlet by Martin Holmes on the Parish Churches of Appleby. Dolphin Publications, 1992. 1st edition. Hard covers, dust jacket. Fine/Fine. Scarcely used. Pages faintly tanned at margins. Ordnance Survey, 1993. Folded map. Fine. Fine. Includes a bit of SY 28/38. Ordnance Survey, 1984. Scale 1:25,000. Folded map. Good/No Jacket. Slight edge wear to cover. 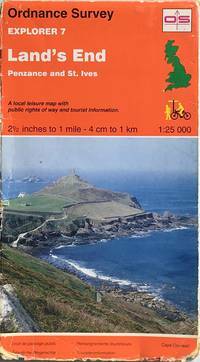 Ordnance Survey, 1985. Scale 1:25,000. Folded map. V.g./No Jacket. Little used. 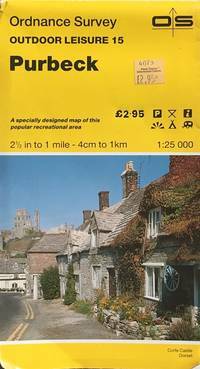 Ordnance Survey, 1995. Scale 1:25,000. Folded map. Good/No Jacket. Slight edgwear to cover. Granta, 2010. 1st edition. Hard covers, dust jacket. Fine/Fine. Scarcely used. 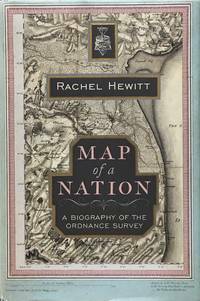 The latest in a series of histories of the "O.S. ", this one by an outside researcher with an interest in its role in Romantic culture. What role, you may ask? Well the answer may lie in this book. By Jarvis, M.G. et al. Soil Survey, Rothampsted, 1984. 1st edition. Pictorial hard covers. Fine/No Jacket. Cover protected with transparent plastic film. Based on a patchy mapping scheme that has now been superseded by online GIS soil maps. Institute of British Geographers, 1969. 1st edition. Paper covers. V.g./No Jacket. 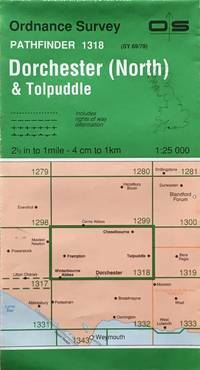 With several fold-out maps printed in two colours. Penguin Books, 2012. 1st edition. Paper covers. V.g./No Jacket. 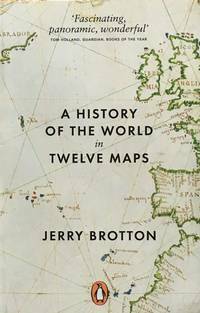 Insightful account of maps and their place in history.